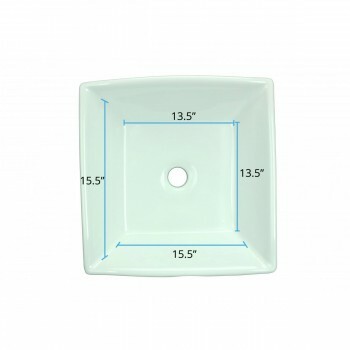 4-1/8" H x 16-1/2" W x 16-1/2" Proj. 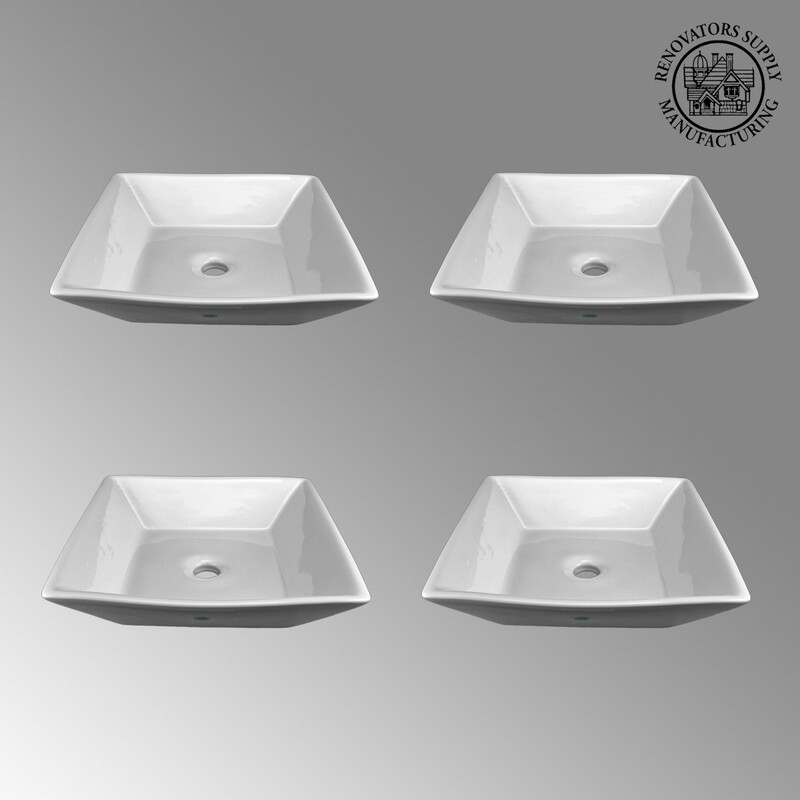 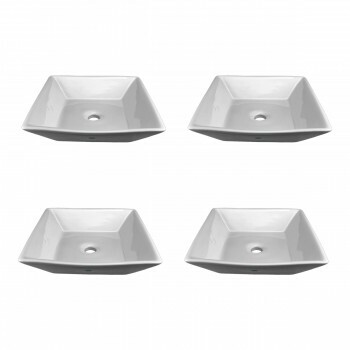 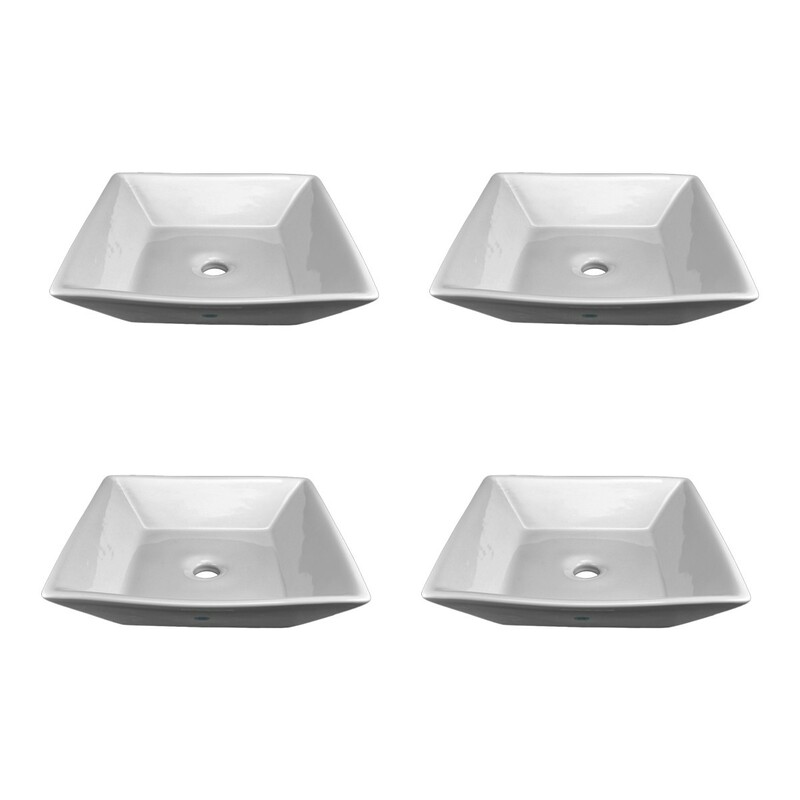 (4) pieces The Castle vessel sink from Renovator's Supply features a bold, modern rectangular design and durable ceramic construction. 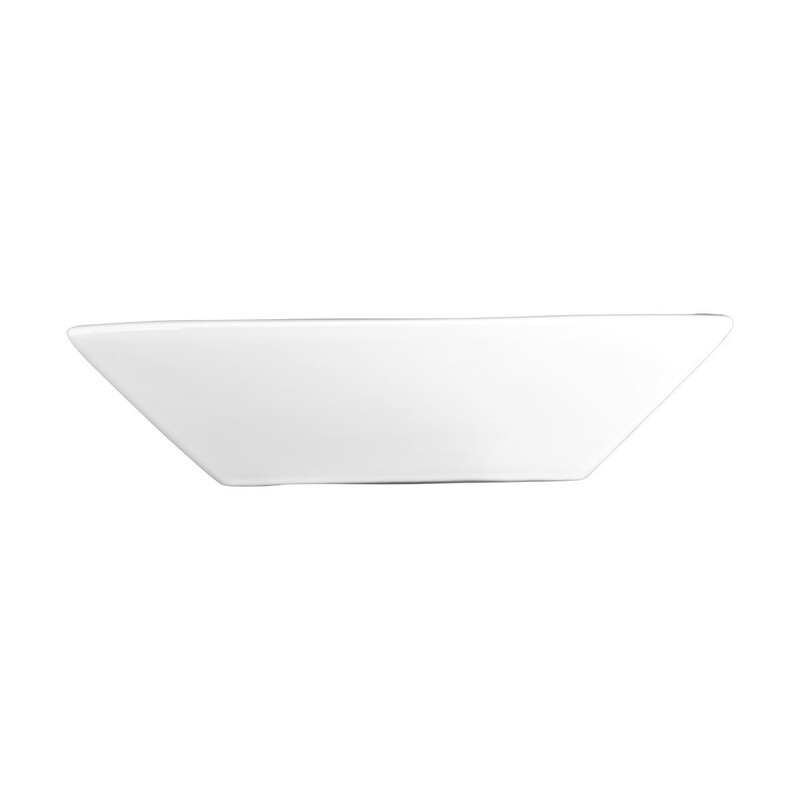 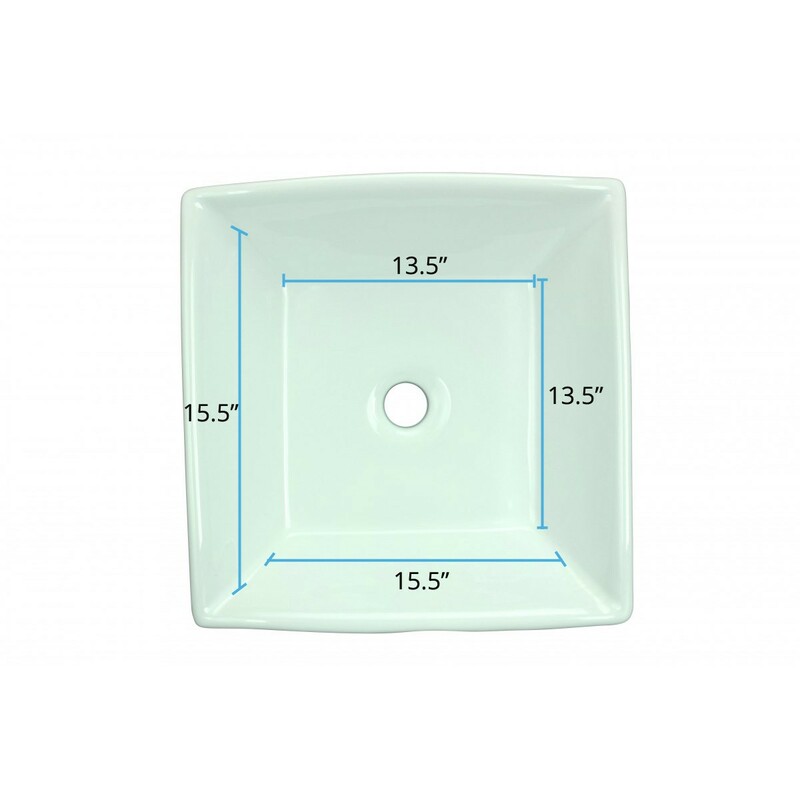 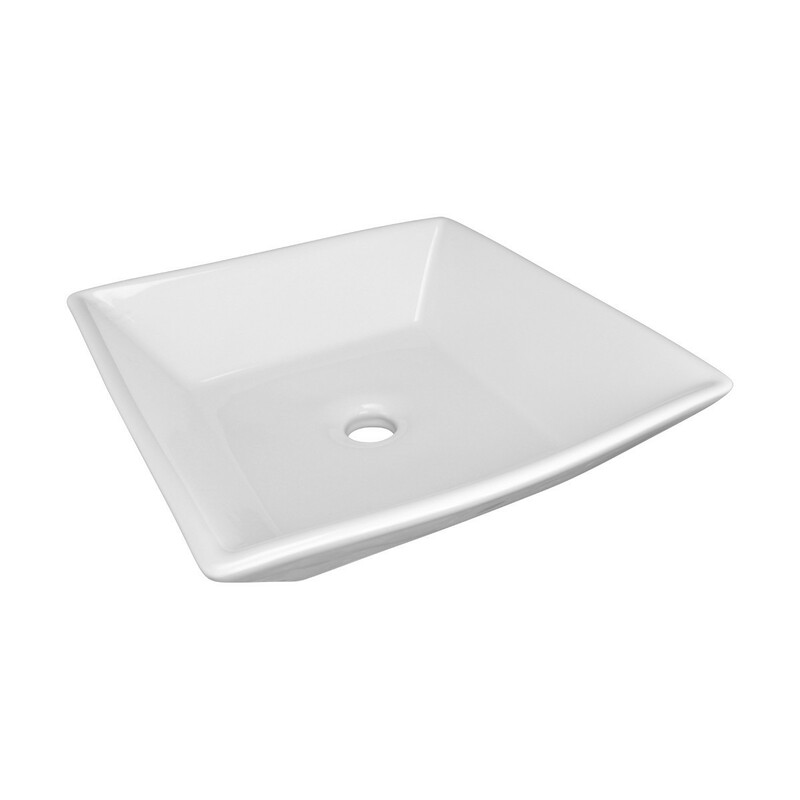 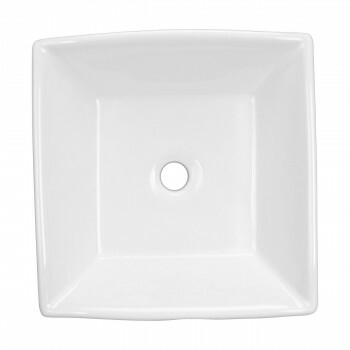 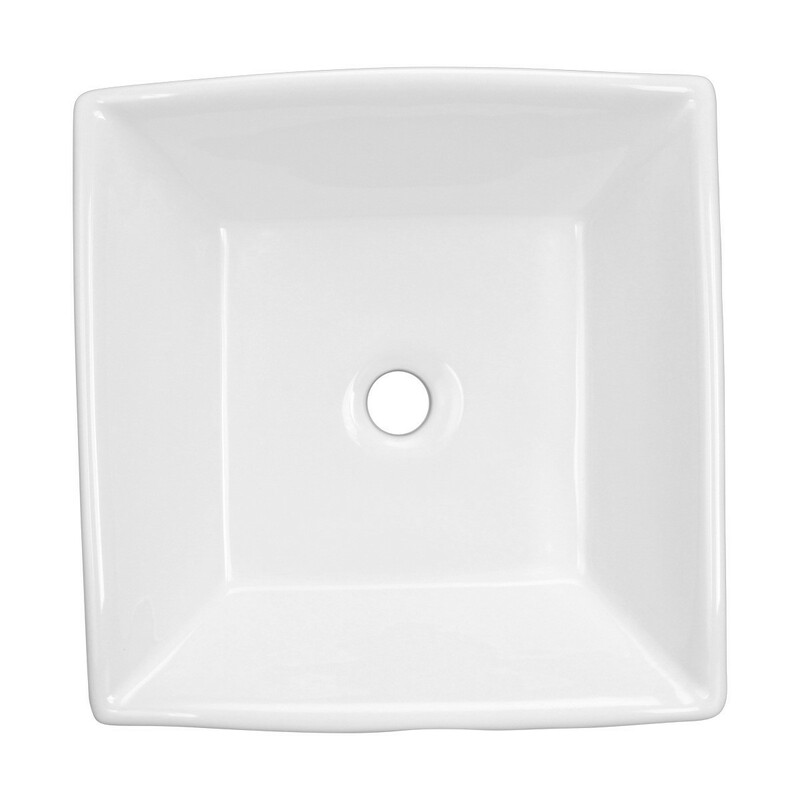 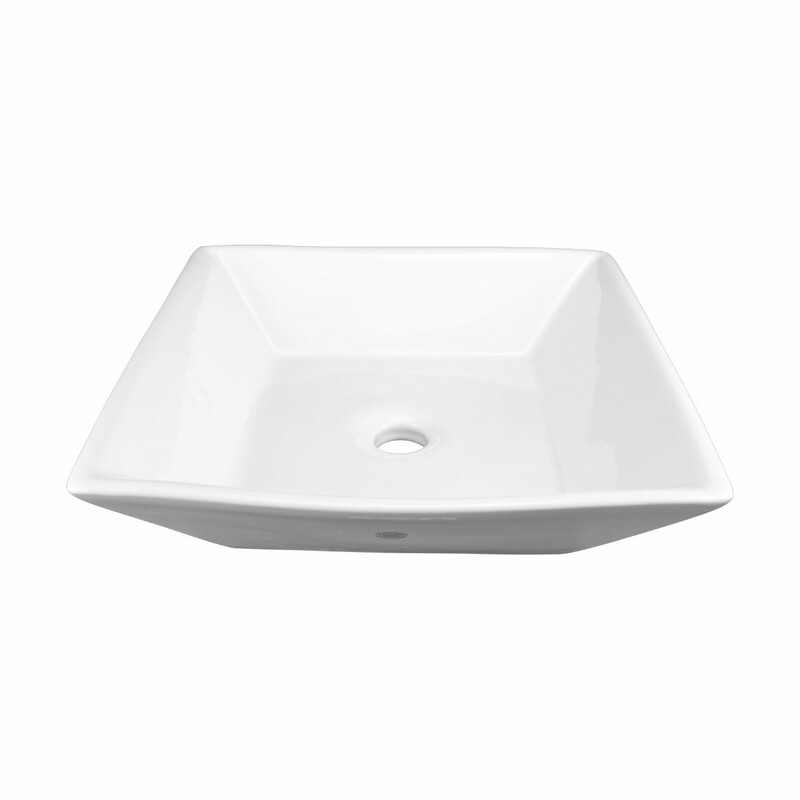 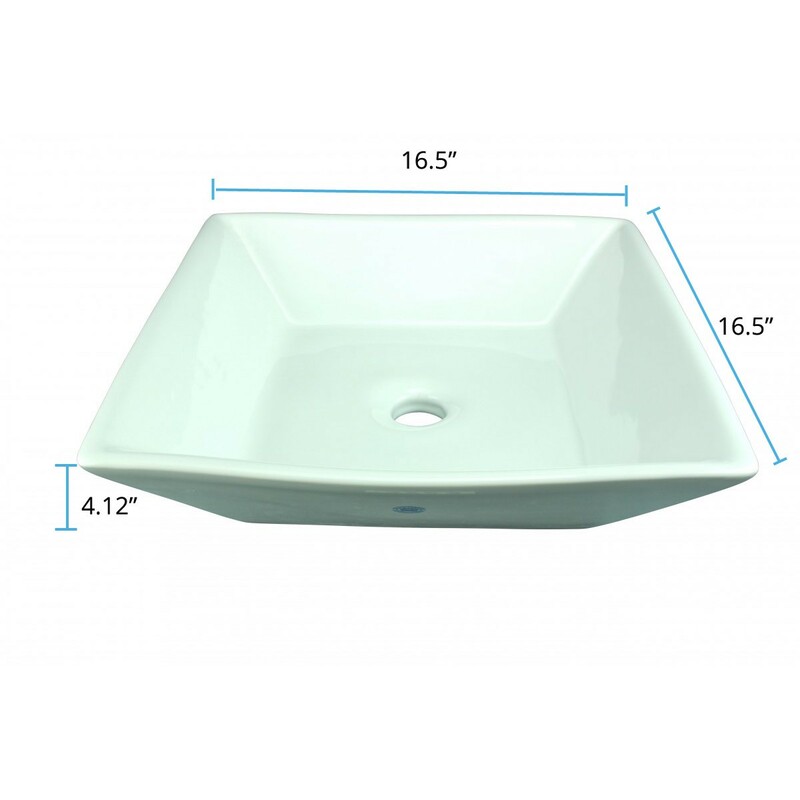 - The Castle is an eye-catching contemporary square vessel sink. 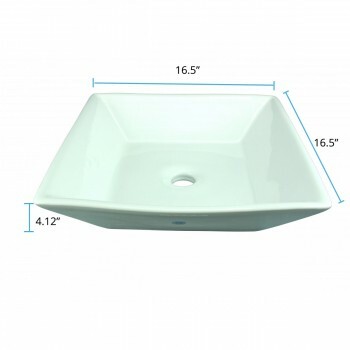 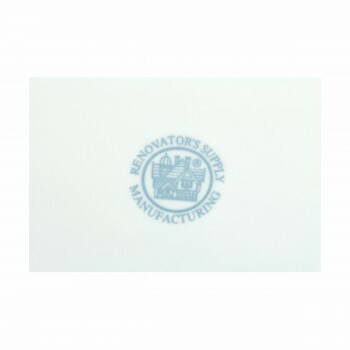  - Compatible with a variety of faucets (not included). 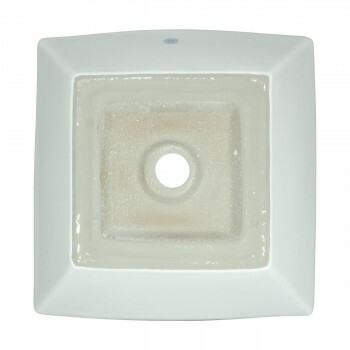 - 1-2/4" drain hole (not included).